∏ The follow-up to 2005’s “Acetylene,” “Travels in the Dustland” is the band´s first new album in six years and the priority release in Glitterhouse’s catalogue for the upcoming fall/winter season.In November of 2010 The Walkabouts entered a studio in Seattle to begin work on the album. The final details were wrapped up in June of 2011. The same crew that made Acetylene and most of the other Walkabouts albums, made this one: Carla Torgerson, Terri Moeller, Michael Wells, Glenn Slater and Chris Eckman. Paul Austin formerly of Willard Grant Conspiracy and Transmissionary Six joined us, providing new angles and possibilities. “Travels in the Dustland” is a collection of interconnected songs. It is a song cycle. The Dustland is a made up place but it looks acts like a real place. Whiledifferent characters come and go throughout the songs, the most important character is the landscape itself: Its vastness, its endless skies, its scarcity,its hidden opportunities and its rugged dead-end roads. ∏ It took us a long time to make this new album. Six years in fact. It wasn’t that we stopped being a band during that time, it was just that other things took over. Life took over, and that is a hard thing to control and slow down. But there was also something else. After “Acetylene” we knew that when we did another album it needed to follow a different trail. It needed to have its own idea, its own purpose, something luminous and worth fighting for. That idea was elusive. But one hot, dust-blown afternoon, as I sat in the back of a rusty Jeep, as it bumped and ground itself across a desert track, somewhere deep in the Sahara, these words came to me: “Travels in the Dustland.” And after I returned home, I remembered those words, and from them came songs, and from those songs came rehearsals and recording sessions. 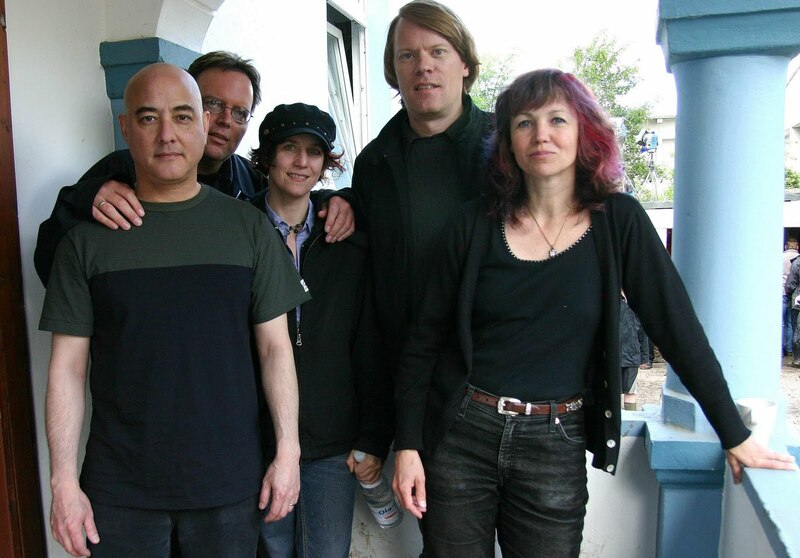 ∏ In November of 2010 The Walkabouts entered a studio in Seattle to begin work on the album. The final details were wrapped up in June of 2011. The same crew that made Acetylene and most of the other Walkabouts albums, made this one: Carla Torgerson, Terri Moeller, Michael Wells, Glenn Slater and myself. Paul Austin formerly of Willard Grant Conspiracy and Transmissionary Six joined us, providing new angles and possibilities. ∏ “Travels in the Dustland” is a collection of interconnected songs. It is a song cycle. The Dustland is a made up place but it looks acts like a real place. While different characters come and go throughout the songs, the most important character is the landscape itself: Its vastness, its endless skies, its scarcity, its hidden opportunities and its rugged dead-end roads. The Dustland seems to be somewhere in America. It is an America with a future as cracked and worn as a dry-lake bed. It is a land where hollow ideas win-out and hopes and dreams are slowly slipping back into the wilds from which they began. ∏ But more than being an idea, this album is obviously a collection of music. We wanted songs and sounds as wide-open as the landscape that inspired us. We wanted an album with a mood of experimentation but also an album that played to our strengths as musicians. ∏ It was a hard, slow process, a balancing act, but we are proud of the results. One reason to be cheerful is that the Walkabouts are still going after more than a quarter of a century. Another is that they can put out an album as good as this when they've worked so long together. For more than a decade, their music has taken on a more cinematic sweep, and that seems to find its apex in this journey through a mythical American Southwest. It's an epic ambition, and one that they pull of magnificently, in large part because they have such excellent material -- and it's all very definitely Walkabouts in its sound -- with some glorious lyrics from Chris Eckman, one of the most underrated U.S. songwriters, a man who can pack a short story into some image-laden lyrics. But the chemistry of the band plays no small part, either, as well as the attention to detail, as with the strings and trumpet that sparsely populate "The Dustlands," for instance, adding to the song's bleakness, or the lonely double bass at the beginning of "Horizon Fade." It's an onscreen journey in the head, one that's as much about legend as physical travel, and makes a perfect companion for the sound they've been developing for so long. One of the strangest things in life is how this band has never managed to be bigger, given the consistent quality of their releases and their striving to always push further into their art. It's been a while since their last release -- let's hope that the wait until the next one isn't as long.